Elad stepped out of the courtyard into the street beyond, looking either direction along it. The crowds were gone now, apart from a few who lay sprawled on the ground, trampled during the panicked stampede. The fires about his hand were flickering, dying out. The rage that sustained them was bleeding away. Elad concentrated, willing the fires back to life, feeding them with all the anger and bitterness he could muster from his soul, at the state of the world, of loss and regret and despair. Sweat beaded across his brow at the effort. “Soldiers!” one of the gladiators called out, a tall man bleeding from a scalp wound. He pointed down the street in the direction that led out of town, and to freedom. A unit of men with large shields and spears, clad in heavy armour, their faces obscured by full faced helms, were marching down the street. They stopped and lined across it, blocking the way with a wall of shields. “It appears that we shall have to go through them,” Nhaqosa rumbled. Elad nodded as he studied the enemy. Breaking through them would be no easy task. “You and I leading the way?” he suggested. Nhaqosa tapped at the ground with a hoof, scratching at the dirt. He snorted, shaking his head, before raising his maul high, above his head. Taking a deep breath, the minotaur bellowed something in a language that Elad did not recognise, yet many of the gladiators took up the cry, pumping the air with their weapons. Nhaqosa’s cry echoed amongst the streets and buildings, near deafening so close at hand. Then he roared and charged. The ground shook under his hooves, his warcry long and loud. 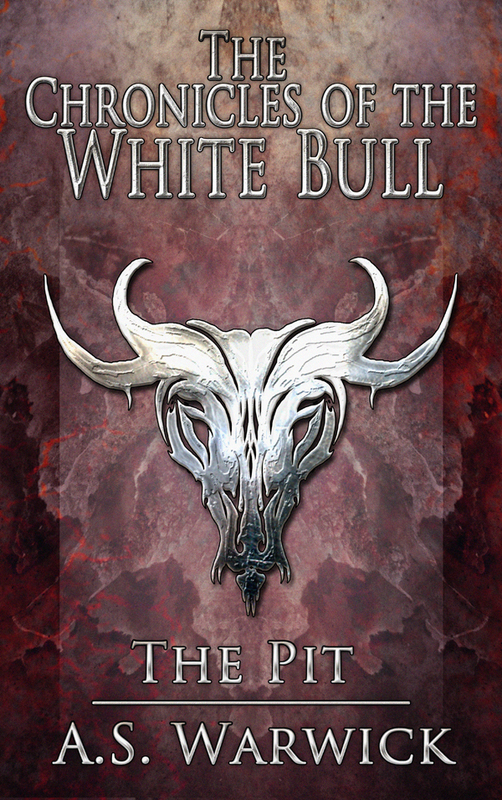 Elad did not want to be on the receiving end of it, ever, for it would be a terrifying sight, a massive horned monster wielding a weapon that few would have the strength to swing, blood staining his white fur, bellowing warcries fit to wake the dead. Elad ran after him, joined by the gladiators as they surged forward. The maul slammed down as Nhaqosa reached the lines, the shield it hit shattering under the force of the blow. The man who had held it screamed as his arm snapped. Spears stabbed forward, but Nhaqosa was already among them, pounding, stomping and goring, oblivious to any wounds in his battle rage. Elad screamed as he saw a soldier draw back his spear to stab Nhaqosa from behind, and flames erupted from his hands to lick over the soldier. The man went down, writhing, and Elad slashed down with his sword, ending the pain. The gladiators spilled over the wavering wall, howling their visceral anger and hate as they stabbed, clawed and bludgeoned the shocked soldiers. Men staggered back or fell to the ground, the dirt thick with blood, while all around were the cries of battle. Over it all towered Nhaqosa, gore soaked maul rising and falling again and again as he hammered back the soldiers, leaving a trail of crushed bodies in his wake. The soldiers broke. The fury of Nhaqosa’s charge, the fires and vengeance that followed behind him, they were not used to such things. They were there to cower the citizens of the town, not face down battle hardened gladiators who had nothing to lose, and so they ran. Nhaqosa leaned wearily on his maul, breathing deeply as he watched them go. A score of cuts marred his body, and blood flowed freely, yet none were major or life threatening. “Can you make it?” Elad asked, studying his many wounds. A lot of blood could be seen, though he reasoned that a creature as large as Nhaqosa had a lot of blood to lose. “I am not done yet,” Nhaqosa replied, lips curling in an unusual manner that Elad took for what passed as a smile for a minotaur.